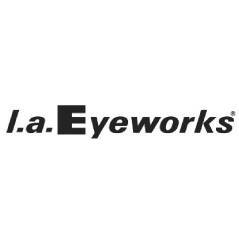 L.A. Eyeworks history begins back in 1979, when Barbara McReynolds and Gai Gherardi decided to break away from the classic style dominating the world of glasses design and came up with a provocative and imaginative collection. Their frames are easily recognised for the new shapes and lilvely colours. Thay have captivated various artists like Andy Warhol, Grace Jones and Almodóvar among many others.